Wounds can take perilous forms that may extend beyond the skin into the fat, bones, nerves, muscle, tendons and ligaments. Such wounds can be an outcome of various incidents such as infection, trauma, surgery, burns, advanced cancers, radiation therapy, and venomous bites etc. Sometimes a wound is getting disfigured or irregularly shaped and look like inerasable but a board-certified Temple reconstructive surgeon can do miracles by improving wound healing with minimal scarring. 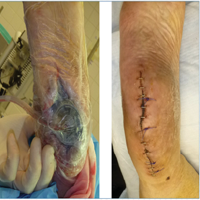 Some wound healing techniques include Skin Grafts where the surgeon covers the wound by grafting skin from another part of the patient’s body. Tissue expansion which allows the body to create extra skin that can be used to close wounds. 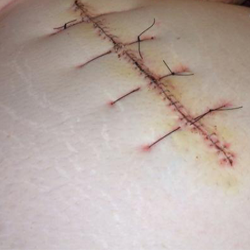 Flaps where the surgeon transfers skin, tissue or muscle from another area of the body to the wound. Post-burn scars are unavoidable even with the best of treatment because they depend upon the depth of burn injury. Even after high level of treatment these kind of scarring can only be lessen by various physical therapy measures and plastic surgical procedures but cannot be eliminated completely. In post burn surgeries a burn patient who receives the best of treatment is expected to heal without any contractures. In this kind of medication practice the patients are treated aim at closing the raw wounds and this leads to invariable development wound contraction and scarring.